Markets have kept climbing, which is good for our method that rides trending moves whenever they come along. In May Shopify SHOP had taken first place in our list. 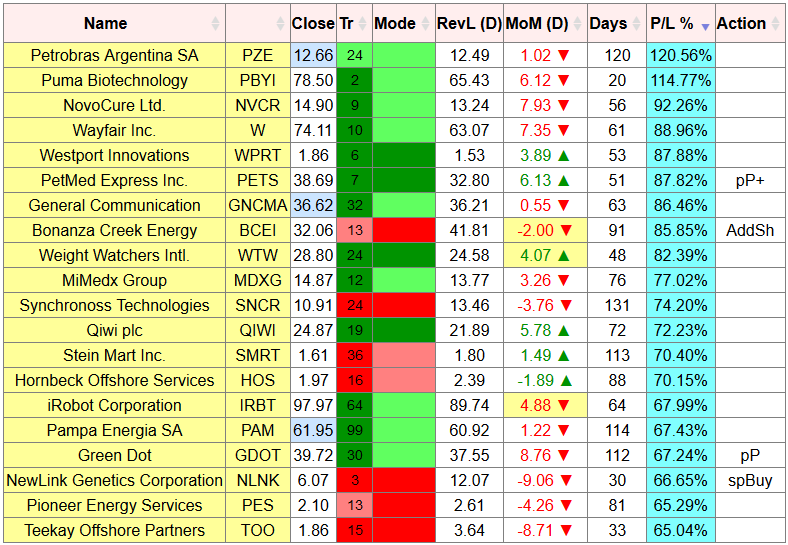 That move has ended and Petrobras Argentina PZE has regained the lead after it also topped our list in April. The Buy signal was given on December 22 when PZE could be picked up at $5.74. It now trades at $12.66 for a nice 120% gain in 120 days. Puma Biotechnology PBYI has moved into second place with an 114% gain in just 20 days and NVCR is third with 92% gain in 56 days. Those moves are not finished, stocks are held until their next Sell signal (or Buy signal for a short position). 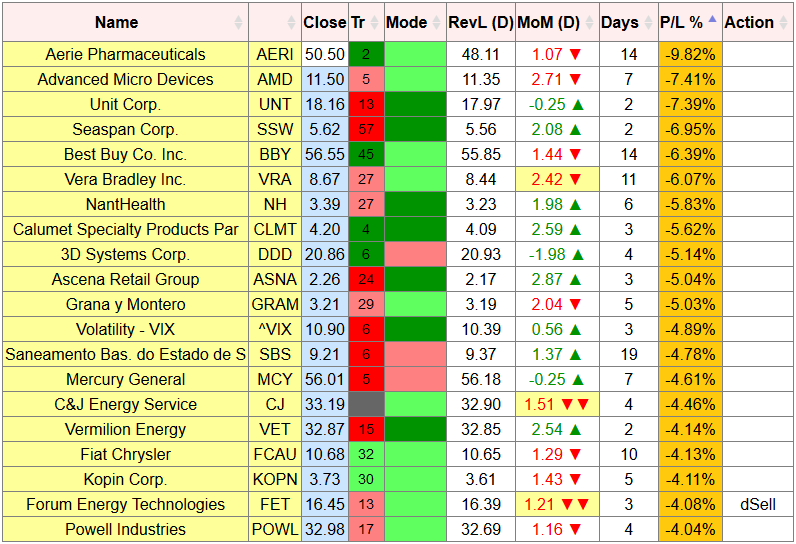 The current worst trades are long AERI (-10%), followed by long AMD (-7%) and long UNT (-7%). Always keeping losses small.